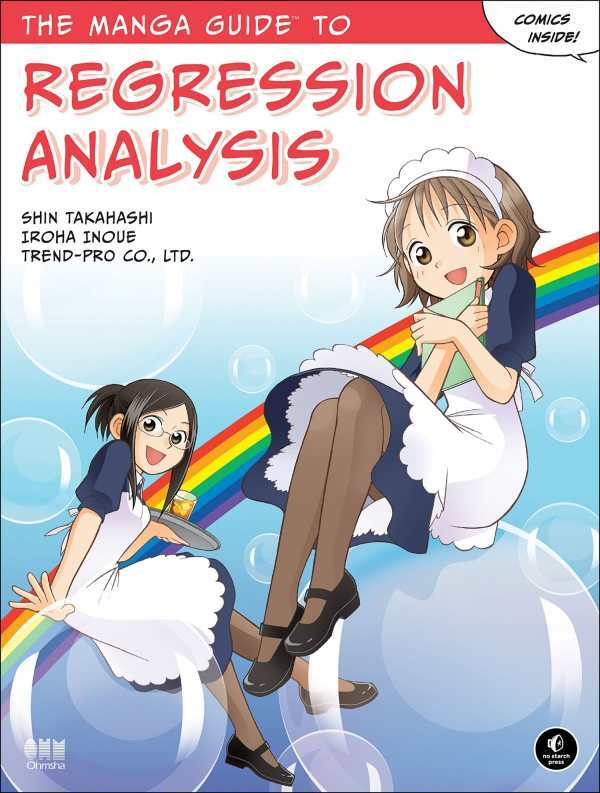 Statistics students plagued by the complexities of regression analysis will delight in discovering The Manga Guide to Regression Analysis, part of No Starch Press’s Manga Guide series. Originally published in Japan over a decade ago, The Manga Guide to Regression Analysis has been successfully translated into English—a detail that might not seem important in the math-centric world of regression analysis, but one that’s critical in this book, due to the simple but engaging story line that frames all the technical talk. Miu and Risa, two young tea-shop workers, are quickly introduced before Risa agrees to help her friend understand regression analysis. Together, they calculate the expected sales of tea depending on the high temperature of the day and, later, create sales projections for a proposed new bakery location. While the narrative presentation definitely aids comprehension, the book acknowledges that readers should first read The Manga Guide to Statistics in order to fully grasp the concepts, and the math, that follow. Like Larry Gonick’s Cartoon Guide to Statistics, The Manga Guide to Regression Analysis similarly helps students grasp the meaning of R-squared, correlation coefficients, and null hypotheses—terms that have proved to be the bane of many students’ college careers. While it may not be enough to supplant a good teacher or a well-written textbook, The Manga Guide to Regression Analysis adds another dimension to the subject and provides another angle from which students can approach it.